David grew up in the Panama City Area. He graduate from Mosley High School in 2003 and has a Master’s Degree from Florida State University. 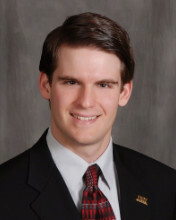 His interest in real estate began at the end of his college career and has developed into passion. In his spare time, he likes scuba diving, martial arts, and anything “active”… and real estate is becoming his favorite sport! David is fully dedicated to his buyers and sellers — whether this means finding the right property for a buyer; getting a seller’s property in the right condition to sell at the highest price; and in both case, ultimately, getting the transaction to closing. Excellence is his #1 priority!